As I was walking the back side of Central Hall at the Las Vegas Convention Center during the SEMA show, I saw a big booth with the phrase “GoPro, Be A Hero”. I thought to myself “what is that about?”, and walked past it as I was headed to a meeting. I forgot about it. The next day, I had received an assignment to write a couple of product review stories for CarAudioMag.com on new products, so I headed up to the new products section. And that is where I saw it. GoPro’s Hero HD mini camera. I literally turned around and headed back to Central Hall to find where I had seen that phrase. I got there and started watching the videos. A chick on a surfboard in what looked to be Hawaii, but the cool thing is the video was shot from the board level. 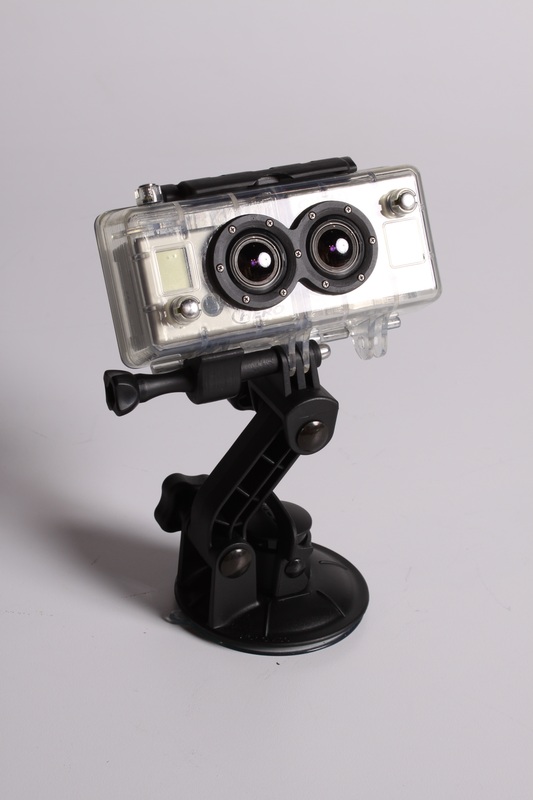 The GoPro Hero HD shoots HD video from a 2″ square camera that weighs less than the included waterproof case and suction-cup mount (in the Motorsports kit). I stuck it to the side of a 2005 Mustang GT last night to see what it would do, and the lack of light hurt the quality, but it looks really cool. It picks up the audio too, so you get to hear the Supercharger scream in the night while you see streetlights pass by in rapid succession. I love this thing, it has so much potential. One the trickiest shots to take of a car is the rolling shot. Expensive rigs, dangerous situations, all add up to hard to get shots. The Hero will shoot still images in 2/5/30/60 second intervals, so you can set it up for the shot, click the button and drive safely knowing that you are getting some cool shots. And nobody gets hurts. Then you switch to video and post it on youtube. I have high hopes for this rig, and you have a front row seat.